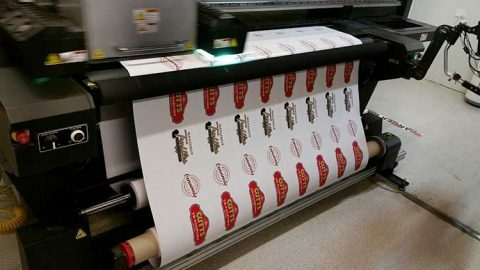 To make sure we are the best sticker printing company in Perth, we have concentrated on ink formulas, quality vinyls and proper curing methods. While other companies are all about buying the cheapest stocks to keep prices down, Perth Graphics Centre makes sure that every job that goes out of the door is perfect – after all, less wasted materials means lower production costs. 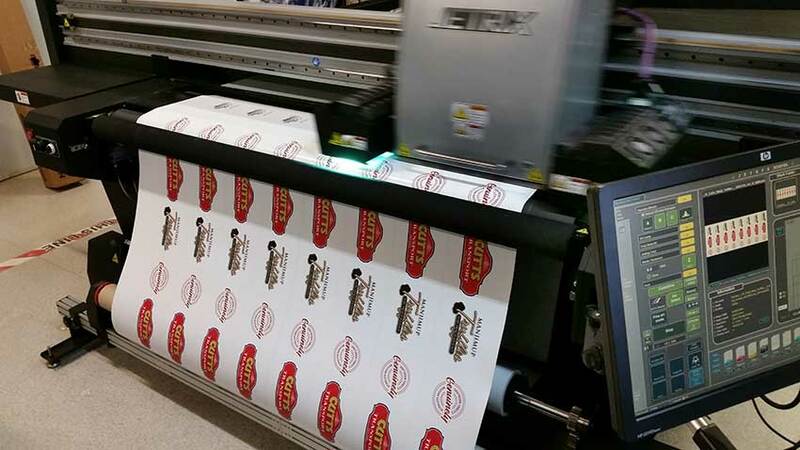 Most production methods these days have gone away from traditional printing (such as screenprinting) and are now done using digital screen presses. Seen above is one of our printing presses. It’s true that digital printing is the way of the future, but what are the best methods for sticker printing? Here at Perth Graphics Centre we believe that the best way is to ensure the ink binds properly with vinyl, which is why we’ve settled on solvent-based methods. While many companies are touting latex printing as the way to go, this water-based print method relies on a primer to bond the ink with the substrate. It sounds good in theory, but in reality, the ink only ever sits on top. Its resistance to the elements and to chemicals, is therefore greatly reduced. Solvent-based prints (whether air-dried or UV curable) don’t have that issue, as the ink etches itself into the surface, staying there permanently. The printer above is printing a whole heap of stickers for the next Targa West round, and using the UV curable print method, the rally cars still have stickers that look great after the race. We’re always happy to make recommendations, so if you have any questions regarding sticker printing, Perth Graphics Centre is the place to head.